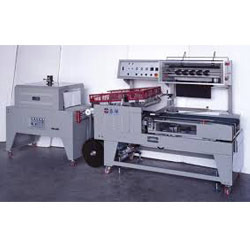 With comprehensive industry knowledge, we are involved in presenting an extensive collection of Automatic Shrink Wrapping Machine. These machines are fabricated by a team of skilful professionals utilizing upgraded technologies at our vendors' sophisticated manufacturing unit. To cater the diversified demands and requirements of customers, we provide these products in various specifications and models and at cost effective rage.